With around three hundred days of sunshine per year, warm temperatures and 70 km of golden beaches that stretch from South Stradbroke Island in the North to Coolangatta in the South, Surfers Paradise, a super-developed coastal strip of the State of Queensland in Australia, offers to the traveler a complete variety for an unforgettable vacation: swimming, surfing, access to an almost infinite variety of water sports, as well as restaurants, shopping, nightlife and theme parks. Perhaps if you look for too much peace (although you can always build your own world even in the noisiest of scenarios) Surfers Paradise is not the ideal place, but if instead you are looking for fun, have fun, be exhausted by so much activity and have access to the best cuisine in the world, this place does not disappoint. Although it was already a popular place to spend the summer in the 19th century, it was only from the 50s of the last century that Surfers Paradise made a quantitative and qualitative leap in services and offers to summer travelers. It was at that moment when the first real estate developers saw the potential of the place and began to build the first tower condominiums and the first hotels on an international scale of the place. Today this has become a true center of entertainment, with an unmistakable skyline of ultramodern buildings, excellent businesses, restaurants and multiple offers in what makes nightlife fun. The area around Cavill Avenue, its main artery (a kind of Collins Av. For those familiar with Miami Beach) is the center of activity from early morning until the wee hours of the morning, with free shows that happen on your own street, business and places to eat both inside and outside. When you’ve had enough of this show it’s time to dive into the beach and all the options it offers. 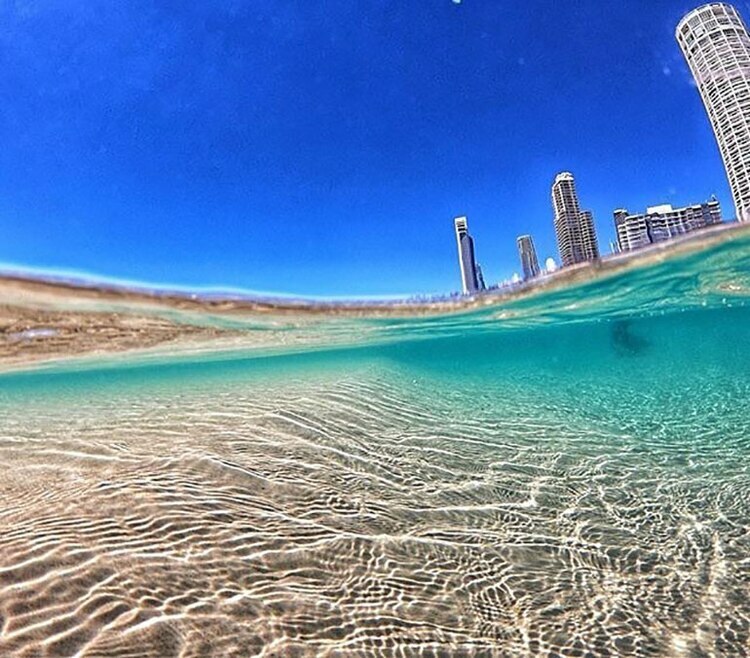 The wide beach of Surfers Paradise has everything you need – golden sands, surf, and crystal clear blue waters – to have a good time, but in the afternoon the shadows of the tall buildings are something to be taken into account, especially for those sun worshipers. Of course, that is not an obstacle for the action to continue, including the beach volleyball games (free) that are played here and for which there is nothing more than forming a team and playing. But if you prefer to continue enjoying the sun and step to visit the most beautiful and most peaceful of the Gold Coast beaches, you have to head south to Rainbow Bay, in Coolangatta. Nestled between two rocky promontories, this small beach is perfect for sunbathing, swimming or surfing. But beach life is not everything in this portion of the Australian Gold Coast. When you have absorbed enough sun and beach culture, you can approach the Currumbin Wildlife Sanctuary about 18 kilometers south of Surfers Paradise. In this great natural reserve, you can see unique animals of the Australian fauna and is undoubtedly the best place in the region to make contact with this other side of an exuberant nature. A high point among the options offered by this park, is the “Rainbow Lorikeet Feeding” that takes place twice a day and where you can see dozens of multicolored parrots feeding on a very particular diet mix of pollen from native plants, red fruits, fruits and some vegetables that ensure you stay in good health. 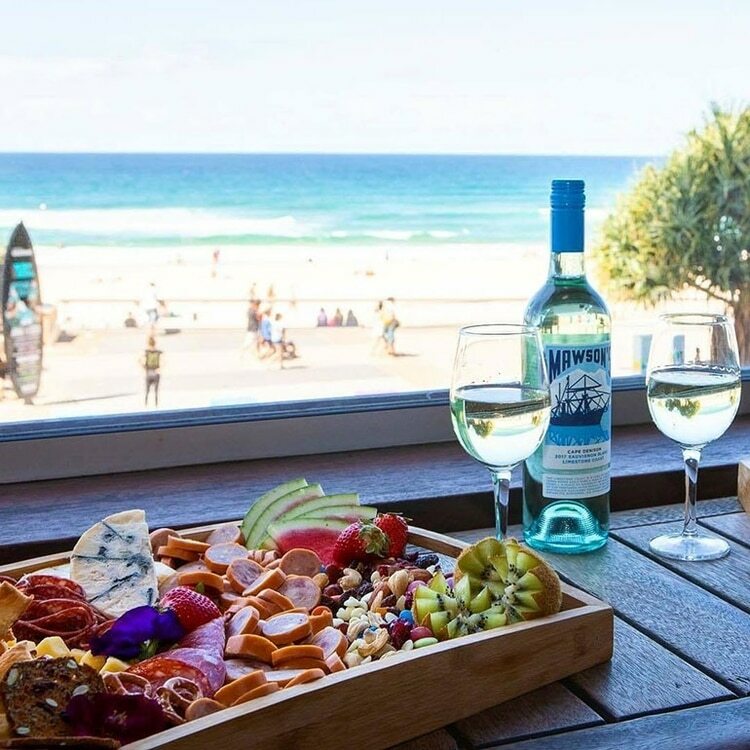 When the subject is gastronomy, do not forget that the Gold Coast considers itself as the place with more restaurants per square kilometer in Australia. The variety of styles and the price range leaves everyone happy. However, if what you are looking for is haute cuisine the ideal would be to go to Tedder Avenue in Main Beach and enjoy some of its many options between restaurants and bars. 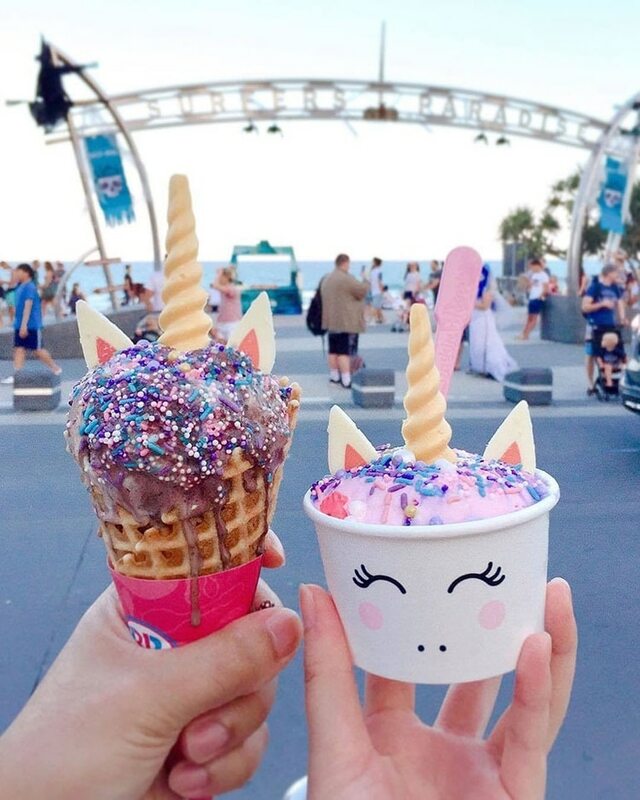 Also included in this list of good food and good entertainment is the Conrad Jupiters Casino, in nearby Broadbeach, where Las Vegas-style shows can also be seen. For nighttime entertainment, the ideal area is Orchid Avenue, where a large number of nightclubs, nightclubs and an endless strip of bars are concentrated. If you want to combine some of the blue and gold of the beach with the lush green of the mountains, head west along the scenic route through Nerang and Canungra and visit the Lamington National Park, listed as part of the UNESCO World Heritage. The park is a naturally protected area of virgin subtropical forest in the southeast of the state of Queensland. It covers about 20600 hectares and lies on a volcanic base known as “Scenic Rim”. The most impressive forest is in the section of the Green Mountains, which is accessed by a winding road that ends in the “O’Reilly’s Rainforest.” Beyond what it offers in terms of forests, streams, and waterfalls, the Green Mountains are renowned for being an amazing place for bird watching.